John is a founding Principal of MST Lawyers with a practice focusing on all areas of corporate and commercial law. He has extensive experience in domestic and international distribution and licensing law. John has played a lead role in developing MST Lawyers’ legal alliances internationally. 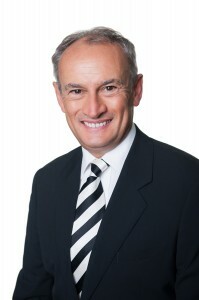 John commenced at MST Lawyers in 1983, following an earlier career at KPMG as a taxation accountant. He represents both public and large private companies; adding value to his clients’ businesses through his extensive network of contacts. Leading the way in developing MST Lawyers’ legal alliances internationally, John has been involved in establishing distribution networks of large American and Asian corporations. John advises on corporate structuring and growth strategies for Hong Kong, China, the USA, Canada, the Middle East, the UK and New Zealand, and has strong associations and networks in these countries. His associations with law firms specialising in franchising are becoming increasingly important as more of MST Lawyers’ corporate and franchise clients now transact business abroad. 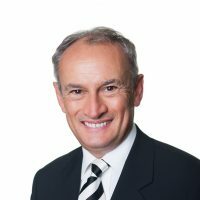 John specialises in all aspects of franchising law, advising national and international franchisors in all areas of their business. He has helped clients take both traditional and franchise businesses into many foreign countries. Drafted documents for a complex shareholder buyout. Succession planning for an international manufacturing company. Joint co-author of the UK publication “Getting the Deal Through Franchising” and author of the Australian Chapter since 2006.